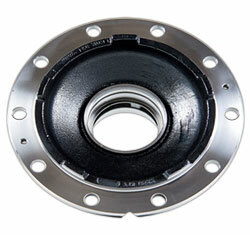 Frum has a complete line of wheel hubs (disc and spoke) for light and heavy vehicles. With market leadership, the company is the leading national supplier of disc and spoke hubs for trucks, buses and tractors. In addition, it manufactures products for light vehicles of the main national and international brands. 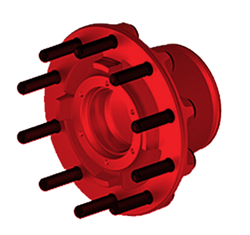 Manufactured in nodular iron and using the highest technology in casting and machining, Frum hubs meet a wide range of applications and specifications from manufacturers, including compatibility with ABS systems. 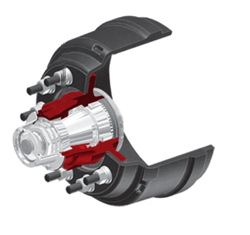 The modern technology applied in the manufacture of the Frum wheel hubs, as well as the use of the best raw materials, result in a lighter product with superior resistance, increasing the performance and reducing the wear of all parts of the brake system. An even fitting of the bolts as well as an excellent attachment of drums, discs and bearings to the brake system assembly. Design compatible and following the standard of the market specifications. 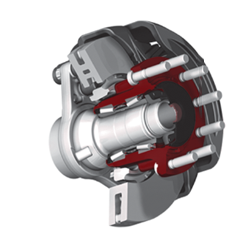 Frum hubs transfer increased torque from the CV joint to the vehicle wheels, generating movement and as a result improving performance. Frum wheel hubs are also extremely durable. The painted exterior surface reduces rust generation and increases corrosion resistance. 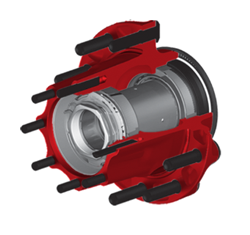 Frum Wheel Hubs are compatible with anti-lock braking systems.